We welcome you to our website. Whether you are a long-time Lane’s End partner or just beginning your journey with us, we hope you find this site a useful resource. Our goal at Lane’s End is to offer services tailored for every aspect of the sport, from mating and auction representation to bloodstock counseling. We welcome and encourage your participation in the world of Thoroughbred racing. This is what we stand for: a team of trusted, experienced horsemen and horsewomen dedicated to your success, both on the track and in the sales ring. We look forward to working with you. A native of Houston, Texas, Will Farish is a lifelong horseman who raced his first stakes winner, Kaskaskia, in 1967. Since then, he has raced more than 165 stakes winners and bred more than 300 stakes winners, including 2003 Horse of the Year Mineshaft, 1992 Horse of the Year A.P. Indy, 1999 Horse of the Year Charismatic, and Champion Lemon Drop Kid. He was the first breeder since A. J. Alexander in 1880 to breed or co-breed two horses who combined to win the Kentucky Derby, the Preakness and the Belmont in the same year. In 1992 and in 1999 he was honored with an Eclipse Award as the year’s leading breeder. 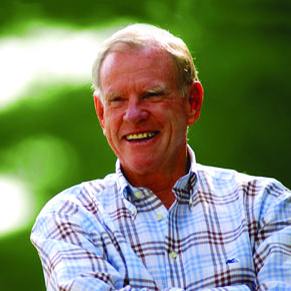 Farish served as Chairman of the Board of Churchill Downs from 1992 to 2001. He has been a Steward and Vice Chairman of The Jockey Club, a Director and Chairman of the Executive Committee of the Breeders’ Cup, and a member of the Board of Directors of the Keeneland Association. 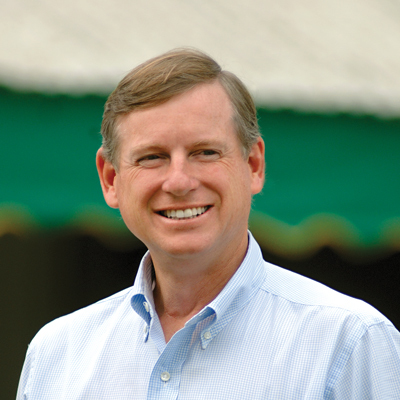 In 2006, Farish was appointed as a trustee to the Keeneland Association. In 2001, he was appointed by President George W. Bush as the United States Ambassador to the Court of St. James and served in that role for three years. He remains dedicated to the Thoroughbred industry and the betterment of the breed and the sport. The beauty of this land made us breathless. We put a lot of thought into Lane’s End and I did a lot of planning before we began developing the farm. Bill is involved in all aspects of operations at Lane’s End and is active in promoting the Thoroughbred industry as a whole. He is currently Chairman of the Board of the Breeders’ Cup, a post that he previously held for five years (2006-2011). He is also Chairman of Horse PAC and serves on the Board of Trustees of the Keeneland Association, the Grayson-Jockey Club Research Foundation and the University of Kentucky’s Gluck Equine Research Foundation. Encompassing more than 2,300 pristine acres in the heart of Central Kentucky, Lane’s End is one of the world’s premier Thoroughbred farms. In addition to our acreage in Woodford County, Lane’s End leases an additional thousand acres in Fayette County known as our Oak Tree Division. Lane’s End has been the home to hundreds of Thoroughbreds, including legendary stallions A.P. Indy, Kingmambo and Dixie Union, current leading sires Candy Ride, Lemon Drop Kid, Mineshaft, Union Rags and Quality Road, and world-class broodmares like Weekend Surprise and Zenyatta. In addition to breeding and boarding, Lane’s End has an extraordinary sales record. Lane’s End has been named Leading Consignor on 26 occasions and has sold more than 365 stakes winners, including A.P. Indy, Saint Liam, Rags to Riches and Lemon Drop Kid. The Farish home, once known as Pleasant Lawn, is built. Abe Buford, a retired general for the Confederacy, returns to his family's farm in Woodford County. Named Bosque Bonita ("Beautiful Woods"), the property will eventually become part of Lane's End. Mannie Gray, dam of the great Domino, was raised at Bosque Bonita, and Leamington, sire of the first Kentucky Derby winner Aristides, stood at stud there. One year before the Battle of the Little Bighorn, General George Custer comes to Bosque Bonita to buy cavalry remounts. Will Farish purchases the first 240 acres of what will become Lane’s End. Lane’s End opens its stallion division with a new 20-stall barn. Lane’s End builds a new stallion complex, consisting of three eight-stall barns, a breeding shed and a stallion courtyard. Stallions are relocated to this part of the property fronting on Midway Road. Lane’s End is awarded the Eclipse Award as Leading Breeder. More acreage on Midway Road is purchased. A new foaling barn is built. Lane’s End is awarded the Eclipse Award of Merit. Lane’s End is named Leading Stud Farm in North America for the 12th time. Lane’s End is Keeneland’s Leading Consignor for the 24th time. Lane's End named Leading Stud Farm in America for the 14th time. Since the 19th century, this land has been home to some of the world’s most famous and influential Thoroughbreds. When our stallions and broodmares are retired, they live out the rest of their days in comfort on the farm before being laid to rest in the Lane’s End cemetery.